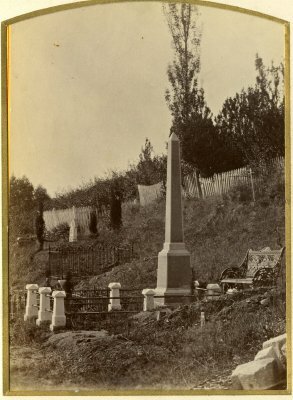 Description Page 36 of 36: A black and white photograph of a grave, most likely that of Dr. Thomas Renwick at Nelson cemetery. The back of the photograph has, "English & Continental Potographic Artist, Nelson, N.Z. ".